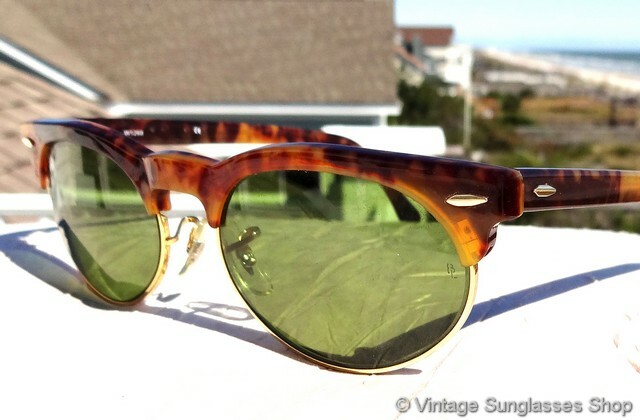 1 Vintage Ray-Ban W1265 oval Clubmaster with blond tortoise shell accents and RB-3 lenses have an incredible look reminiscent of vintage Ray-Ban Clubmaster sunglasses but with lots more style and panache. 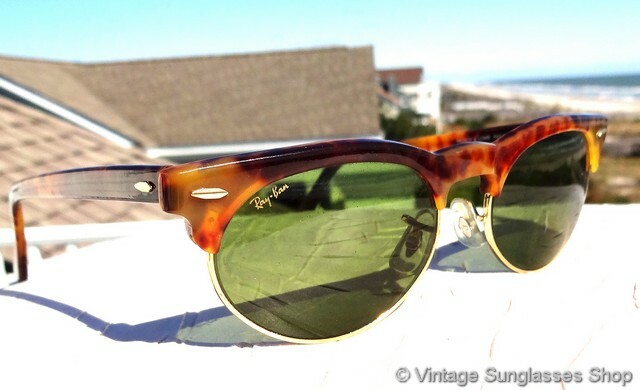 Ray-Ban W1265 sunglasses are a design explosion, with yellow tortoise shell frame tops and ear stems, a gleaming gold plated nose bridge, and B&L green RB-3 lenses that are both etched BL in the glass near the hinge points. 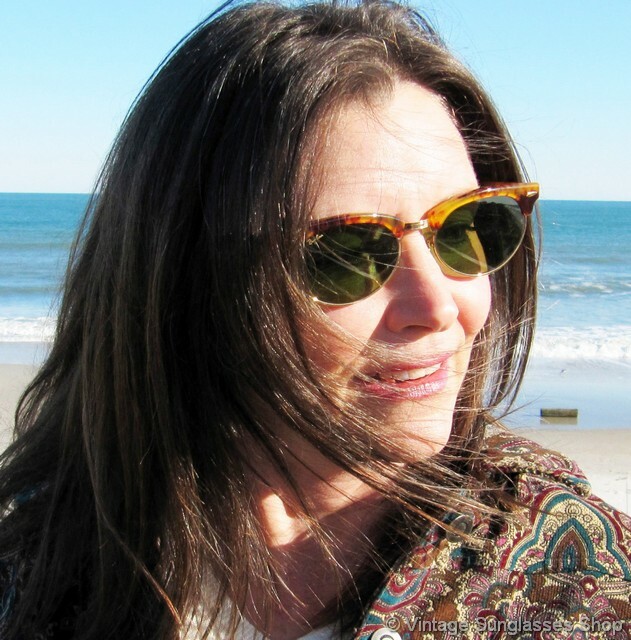 They're great as men's or women's sunglasses with a frame that measures approximately 5.5" temple the temple and elongated oval B&L RB 3 lenses measuring approximately 2.0" x 1.375" at the widest points. 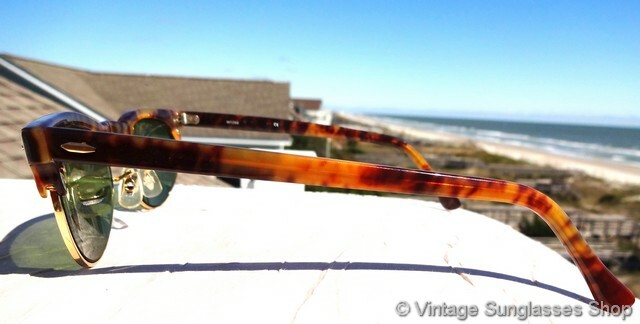 The inside of one ear stem is marked W1265 while the other ear stem is marked with Bausch & Lomb Ray-Ban USA. 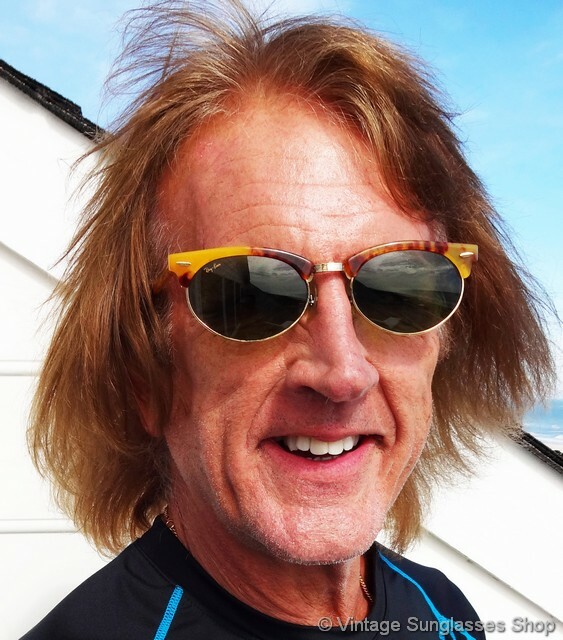 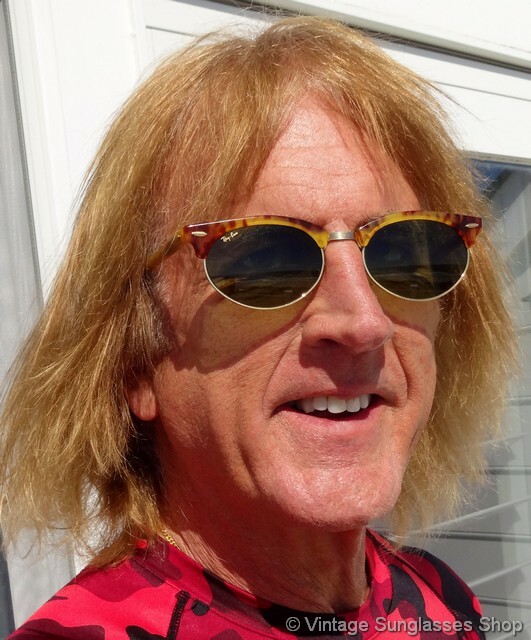 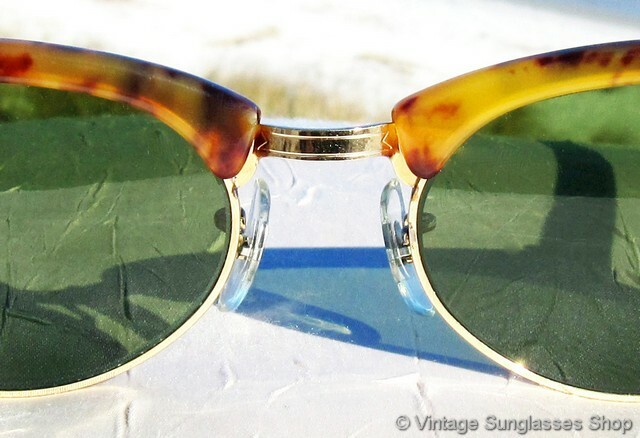 The back of the 24k gold plated nose bridge is also marked B&L Ray-Ban USA impressed in the metal, part of the collection of a well known theatre actor and customer of the Vintage Sunglasses Shop. 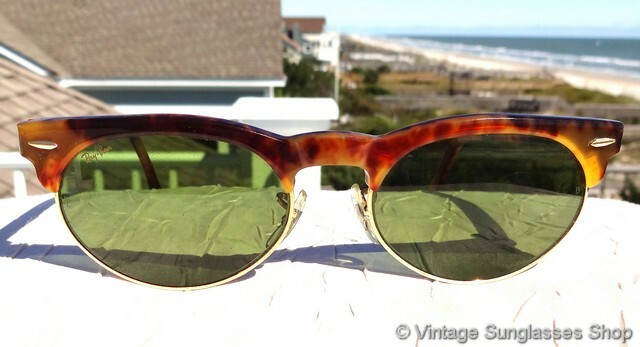 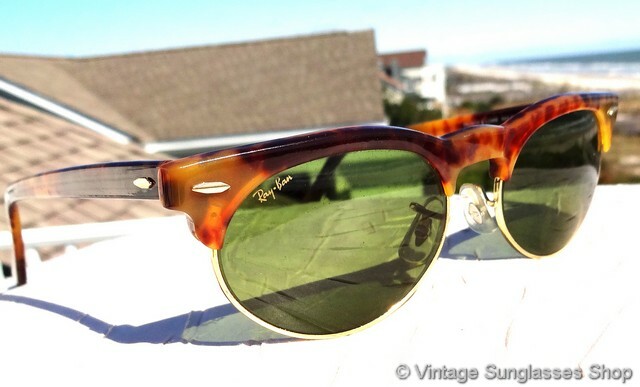 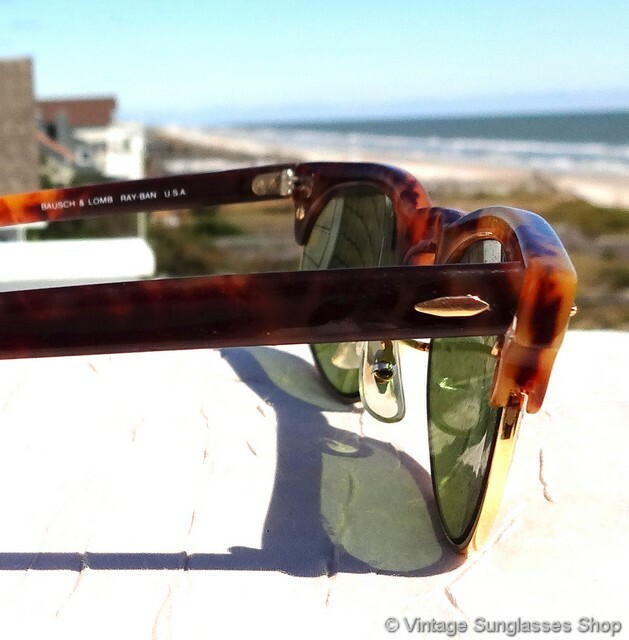 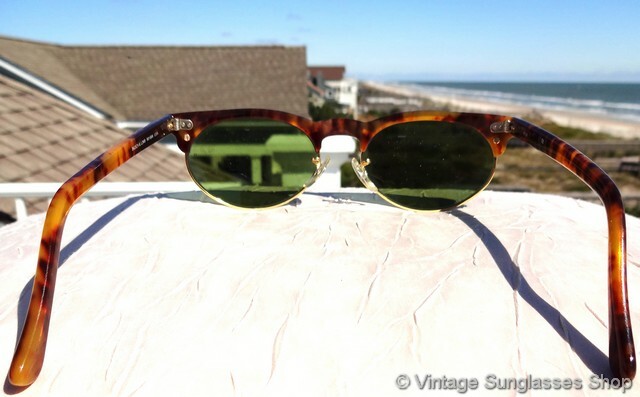 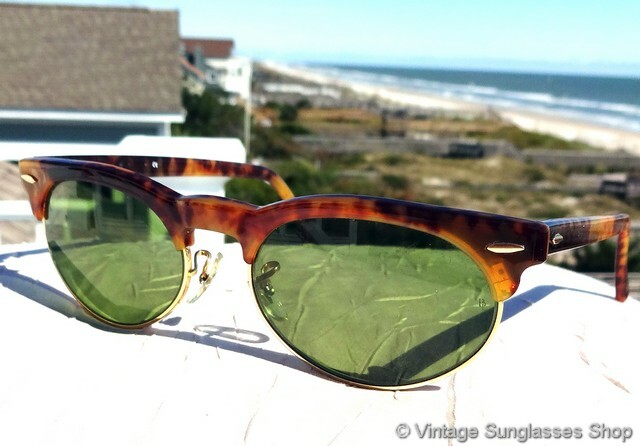 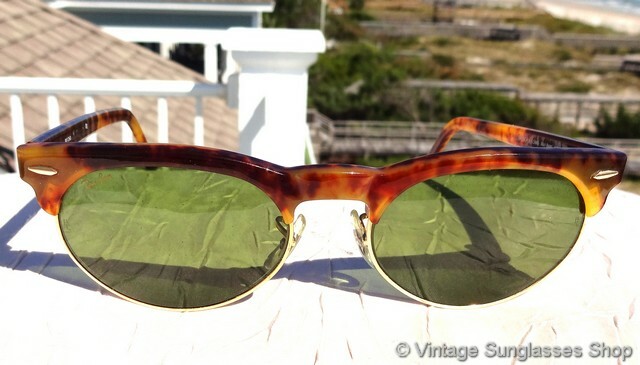 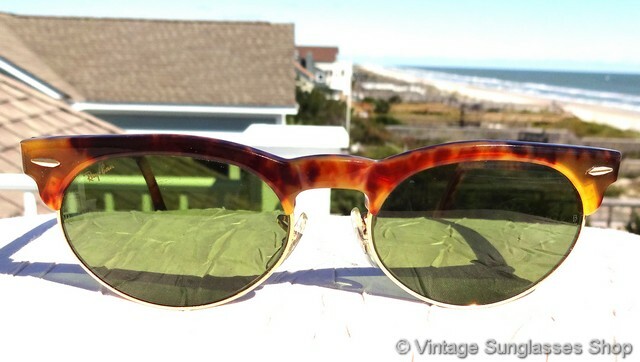 2 Step up another level beyond our already unequaled vintage condition standards with new old stock Ray-Ban W1265 oval Clubmaster sunglasses in mint, unworn condition.